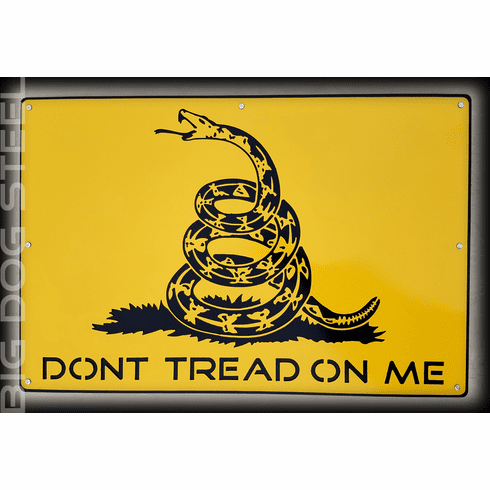 Check out our new "DToM" art metal flags. Overall dimensions are 24" x 36". Flags are comprised of (2) layers of 14ga American milled steel. These are original artistically drawn, programmed, cut, coated, etc. Right here in our shop in Saint Marys, Ohio. For the time being we are offering these in Golden Yellow, Flat Dark Earth with Black backs. Pricing for each flag will be $289 + shipping. However for a limited time we will be offering them for $199 + shipping. Flags weigh approx. 35lbs and will ship UPS. Average Lead time to complete order for this product running approx. 3-5 business days from the date of payment.